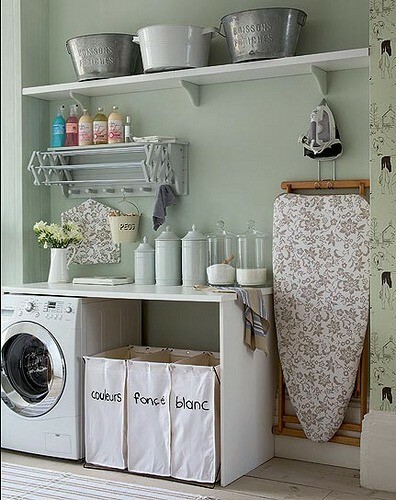 For MONTHS I have been pouring over pictures of laundry/mudrooms on Pinterest and other places looking for inspiration! 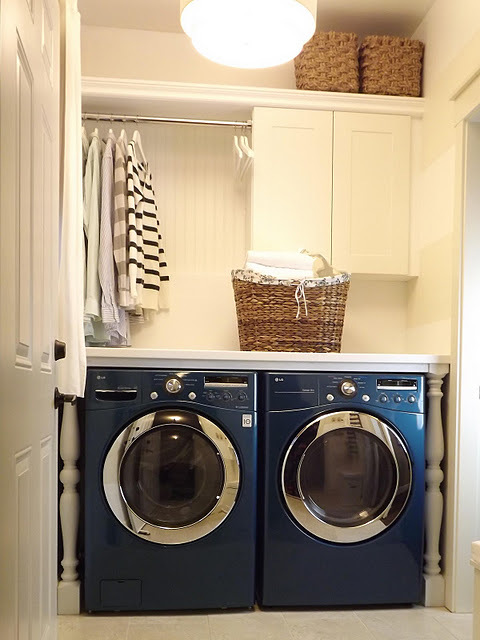 I have a small, narrow space that doubles as my laundry area AND as a mud room…and lately it’s lack of organization has been driving me crazy! 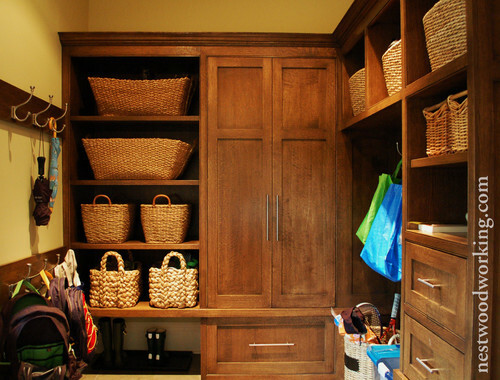 So I have looked at probably a thousand or more pictures of “picture perfect” laundry rooms and mud rooms searching for SOMETHING I could extract and use in my own little space. 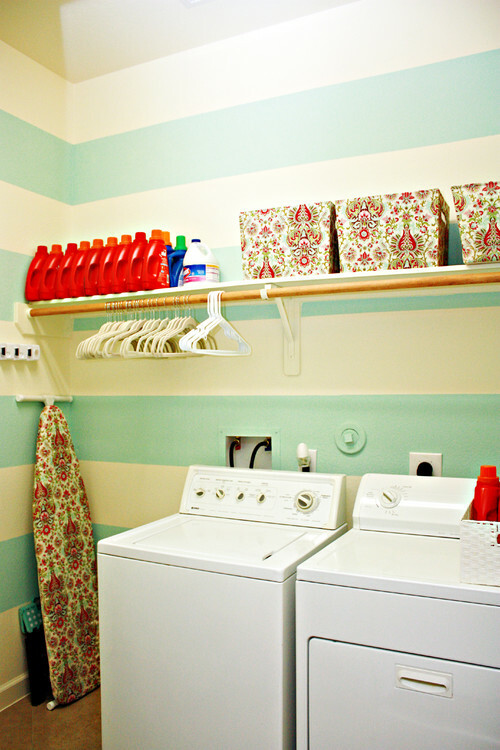 Man oh man are there some AMAZING laundry/mud rooms out there! While I have found many, many examples I would love to replicate…but with limited space and funds…what I REALLY needed was just a few key changes that would help control the chaos. So here are a couple of BEFORE and AFTERS of my humble updates that have made ALL the difference in the world (for now). THIS is probably the thing that drives me the MOST CRAZY! Shoes in a pile on the floor! This is actually not a BAD picture of this space…it can look MUCH worse. lol. 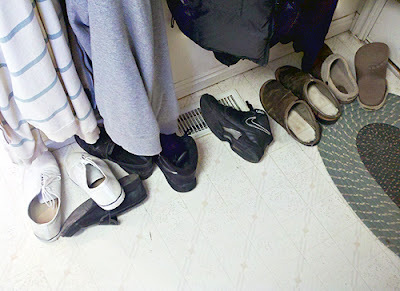 My “rule” is one pair of shoes per person can be in this room…the rest have to be in their closets or in the garage (winter boots, etc.). But even when that rule is being followed (which is rare! 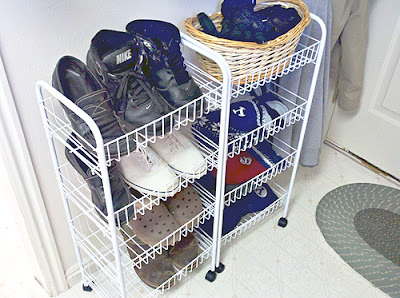 ), it’s still annoying to have shoes haphazardly thrown there. Someone is always tripping on an errant shoe that has escaped it’s ambiguous confines. So this is what I came up with for a grand total of about $24.00 for both at Walmart! Better huh?? I’m personally thrilled with this minor change. 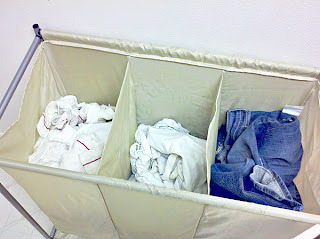 Then on the other end of this space….my dirty laundry issue. 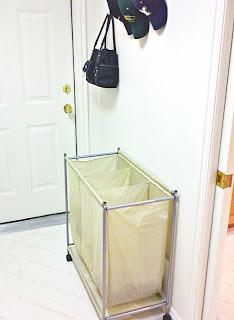 This has always been how we have corralled the dirty laundry in the laundry room. 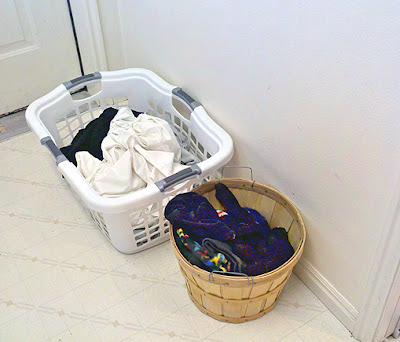 One big basket on the floor right across from the washer and dryer. The “apple basket” only comes out during the winter and holds winter gloves and hat. Pretty comprehensive system huh? 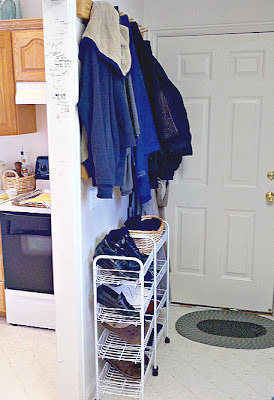 Well, this turned out to be one of those, “Why didn’t I do this a LONG time ago?” moments…because for approximately $14.00 I purchased this laundry sorter at Walmart to replace both baskets. 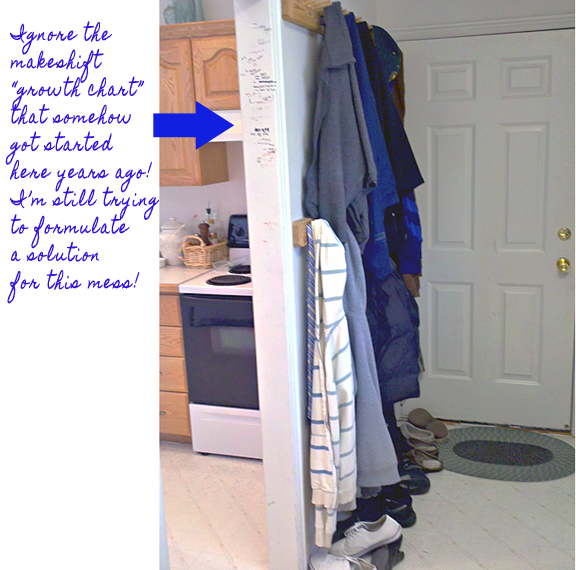 Your side note struck me I too had the issue of what to do with the “growth chart” as I now have 3 small ones… My issue is that I have a habbit of moving every 4-6 years and I want this kind of info to go too… so, I was “pin-stalking” and found an adorable idea to use a strip of shoe molding- wood burn or paint it like a large ruler then transfer history onto it. It looked quite cute on the pinterest page. I love your website and so many wonderful idea and information! Tell ya I have been on your website few hours now and can’t get off! Haha keep up the great work! Love your blog and GREAT ideas! 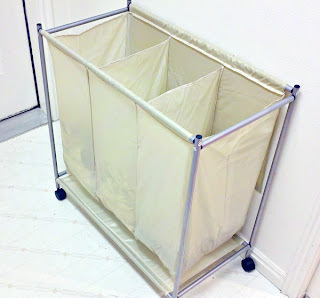 I found a laundry sorting basket with 3 separate sorting bags that looks nice. 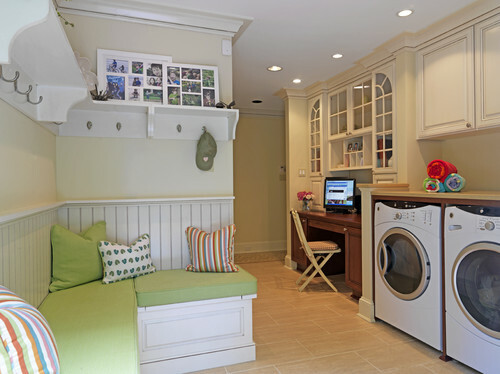 My laundry room is in a pass through room between the garage and kitchen. There was plenty of room for a sorting basket or bin but I wanted something that didn't look like a bin. Found it at Target online: search "Household Essentials Triple Sorter – Seagrass". 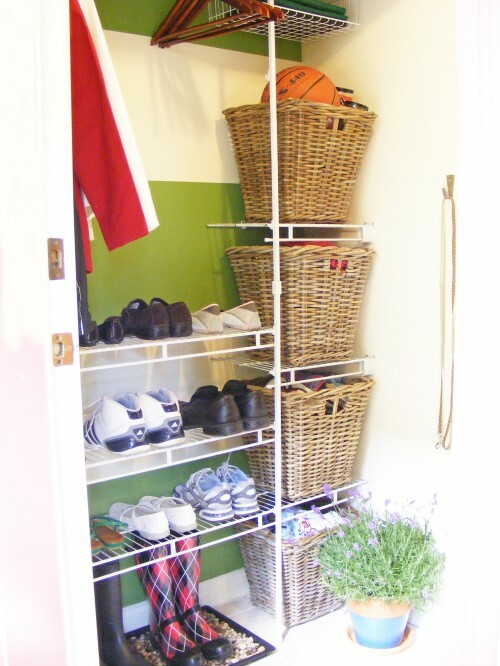 Liked it so much, went back for 2 more to use as sorting bins upstairs near the bedrooms! Oh, Jillee, how do you know just what it is that I've been putting off? The procrastinator in me hates you and the practical me can't get enough of you! 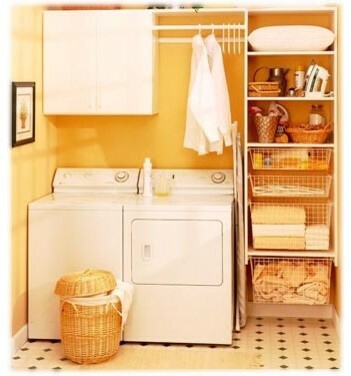 …thanks for posting a "realistic" way to help with your organization/clutter for your laundry room. 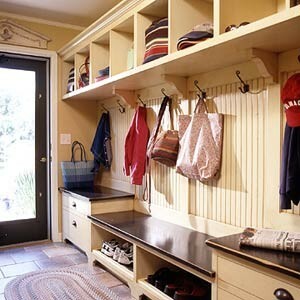 I too, have almost the exact same set of over the top,to more toned down versions pinned or saved to my computer for mudroom/laundry room. You have no idea, how much this post, just got me to lighten up an do what I can, to help "my space". Thanks again! Thank you! I'm so glad you think so. :-) And thanks for taking time to leave a note! Makes my day! Jillee, your blog is just a delight to read!